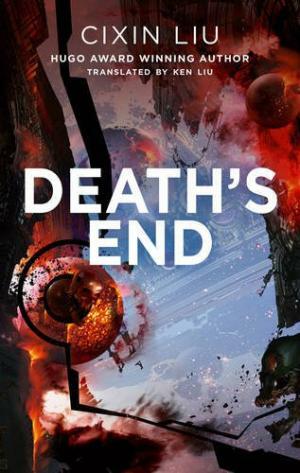 This Science Fiction novel, is an international success. The three novels of the serie were translated into English and the first volume, “The three-body problem” is now available in a translation into French by Gwennaël Gaffric (1). The three novels, published as from 2008 were sold in China more than two million copies and exceptional achievement, the English translation has been read by 200.000 people including Marc Zukerberg and President Obama. Ken Liu, a SF writer, has translated two of the three novels and has been vey efficient in supporting Liu Cixin and his books. It is also the first time that a Chinese SF novel wins the Hugo Award, the prize awarded in the US by the World SF Convention. The announcement two months ago of the discovery of an exoplanet, Proxima b, where life might be possible, has been widely reported by the press. This planet of a size comparable to that of Earth, orbiting Proxima Centauri, the nearest star (4 light years) of the solar system, one of the three stars of the constellation Centaurus. Three stars, three bodies in the novel, this creates an astronomical disorder that makes unlivable the planet Trisolaris, the heroine of the book, sometimes blazing, sometimes covered with ice. 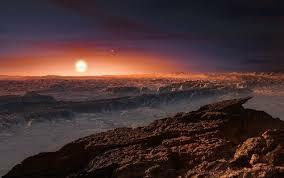 This is where SF departs from reality as the distance between Proxima and it’s cousins ​​is such that harmony reigns. For the inhabitants of Trisolaris, forecasting climate change is of course a matter of survival; the three-body problem is a classic mathematical problem that cannot be solved and which prohibits reliable forecasts. With no solution, the Trisolariens will have to colonize another world. The first twenty pages of the book are a brutal description of the beginnings of the Cultural Revolution. In Beijing, during forty days, 1700 people were beaten to death and others pushed to commit suicide. Among the victims, a physics professor, Ye Zhetai , who was betrayed by his wife and murdered by four Red Guards. The scene is very violent, he is blamed to teach relativity, the Big Bang theory and to refuse to consider that Einstein is a reactionary ennemy of the people. The impact of ideology over science and savagery that can result will determine the development of his daughter, Ye Wenjie. She is “sent to the countryside” to be re-educated by farmers in Inner Mongolia; she is confronted with the disasters of a deforestation policy initiated by irresponsible local authorities. The human species is dangerous and cannot be reformed, so she agrees to put her expertise at the service of a secret base, the “Red Coast”, created to analyze signals from space. In the book published in China, the pages concerning the Cultural Revolution, deemed too sensitive, were lost in the middle of the book contrary to the writer’s manuscript. Is SF a way to avoid censorship? 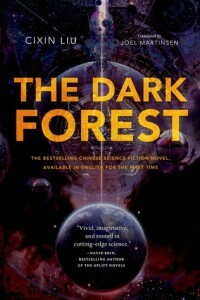 In his afterword to the English edition, Liu Cixin explains ” he does not use fiction as a disguised way to criticize the reality” but he does not hesitate to explain in an article that the Cultural Revolution is not a backdrop but an important element of the plot: “the story requires a person who has lost all hope for humanity. In all of mankind, only two things could do this- one was the Cultural Revolution and the other was the Nazi holocaust. These both made people act against humanity “. Other SF writers have been less fortunate with censorship including Han Song; several of his books were banned. Ye Wenjie plays an important role in the “Red Coast” base, she marries there and gets sufficient autonomy. The base can emit powerful microwaves capable of destroying electronic equipment of enemy satellites. The Chinese government is worried by the US and Russian efforts to search for extraterrestrial civilizations. Many scientists believe that “it is not desirable that the human race as a whole comes into contact with an alien civilization. Instead of unifying the human species, this contact would effectively divide and exacerbate rather than reduce internal conflicts between different civilizations of the Earth “. 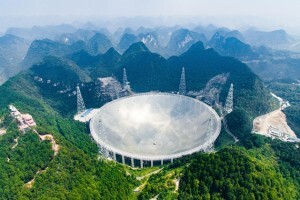 Ye Wenjie receives a message coming from Trisolaris which also indicates that it should not be answered as this would locate the planet Earth which will be then invaded and conquered. She answers in secret, “Come! I’ll help you conquer the world. Our civilization is unable to solve its own problems. We need your intervention “. Many years later, Ye Wenjie runs “The Frontiers of Science”, an organization that worries the secret services of several countries cooperating to infiltrate it. Wang Miao, a specialist engineer of nano materials, agrees to play the role of a “mole” and joins the organization. The development is worrying, many of its members are eliminated or commit suicide as their reason for living, fundamental physics, is challenged by new experiments: its laws are not invariant across time and space, therefore it does not exist as a science. Wang Miao, like other members, is involved in a spectacular video game “The Three Bodies”; he is immersed in the past, meeting celebrities and discovers that on the planet Trisolaris, eras are “chaotic” and freezing or “regular” and this is when civilization can develop. How to predict these eras and the movements of the suns, that is the essential problem of this planet. After several stages of the game, Wang Miao attends a meeting where it is explained that Trisolaris and the three suns actually exist. Players who love this civilization become members of the organization, others are excluded. The death of the scientists is no coincidence; coordinated action is in place where “Frontiers of science”, divided into several antagonistic groups, plays a key role. Science progresses faster on Earth than on Trisolaris; invaders, which will reach Earth in four centuries, fear that it’s superior scientific level will then enable it to successfully defend itself. This requires that basic research is stopped. The relationship between science and politics is an essential topic: SF is first seen as a way to give young people faith in science and progress; people can perform wonders … Rapid development after the Cultural Revolution and then a ban in 1983 as spiritual pollution influenced by foreign countries. The revival is slow after the Tiananmen events in 1989, then a global convention of SF is held in China in 1991 and in 1997. This is a new beginning, supported by the development of the magazine “The World of SF” with a circulation of 150,000 copies. Few writers, thirty, few published books, 10% of what is published annually in the United States. 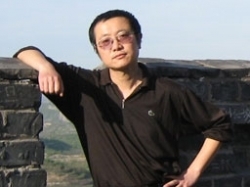 A limited number of novels, many short stories in journals; everything will change with the phenomenon Liu Cixin. Born in Beijing fifty three years ago; he spent his youth in Yangquan, a small mining town in Shanxi where his father worked. Engineering studies prepared him for a career as a computer scientist in the Powerplant of Yangquan. He published his first novel in 1991 and, since 1999, gets nine times the Galaxy Award from the Chinese association. Finally in 2015, the Hugo Award, by the global convention of SF in the US. The impact in China is considerable. He quitted his engineering job which, he said, allowed him to keep in touch with reality, to work to the film adaptations of his trilogy; the first episode is due next year. Despite the rapid economic development, optimism, faith in science has almost disappeared; technical progress raises the suspicion and anxiety and the future is described as dark and uncertain (3). Environmental themes are present: Ye Wenjie fought against deforestation and defended the book by Rachel Carson’s about the devastations by DDT. Similarly, an important character in the book, an American, Mike Evans, heir of an oil billionaire, plants trees in China to save the birds as all the species on Earth must be equally protected. If one is caught by this novel, it is primarily due to its masterful composition. It moves between the present and the past of Ye Wenjie, between Earth and Trisolaris. The video game, “The Three Bodies,” provides the reconciliation between the present and Wang Miao with great figures of the past; it’s a great idea that gives a lot of flexibility in the composition of the book. A wide variety of styles, even if the tone is often quite dark. Sometimes the book moves like a detective story with the investigation of the Frontiers of Science, sometimes it’s almost like pieces of evidence on the Cultural Revolution. The idea of ​​an Apocalypse in four hundred years is brilliant and allows to introduce the following volumes, “The Dark Forest“, translated by Joel Martinsen and “Death’s End“, but also to avoid too tense a rhythm. We will long remember anthology chapters as in the video game, the description of a “human computer” created by thousands of soldiers of the First Emperor. 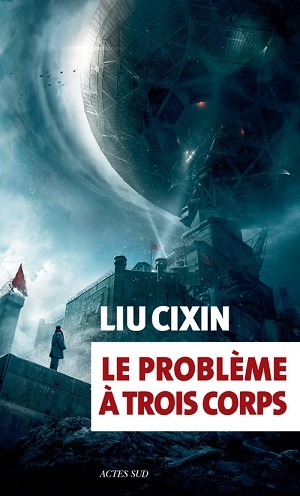 (1) Liu Cixin, “The three-body problem”, translated into French by Gwennaël Gaffric; Actes Sud, October 2016, 420 pages, 23 euros. (2) Liu Cixin, “The three boby problem”, translated by Ken Liu, Tor Book, november 2014, 400 pages. (3) Liu Cixin, “Writing China,” The Wall Sreet Journal 31/12/2014.